Stack your 1-1/18” forms with confidence using these heavy-duty clamps. 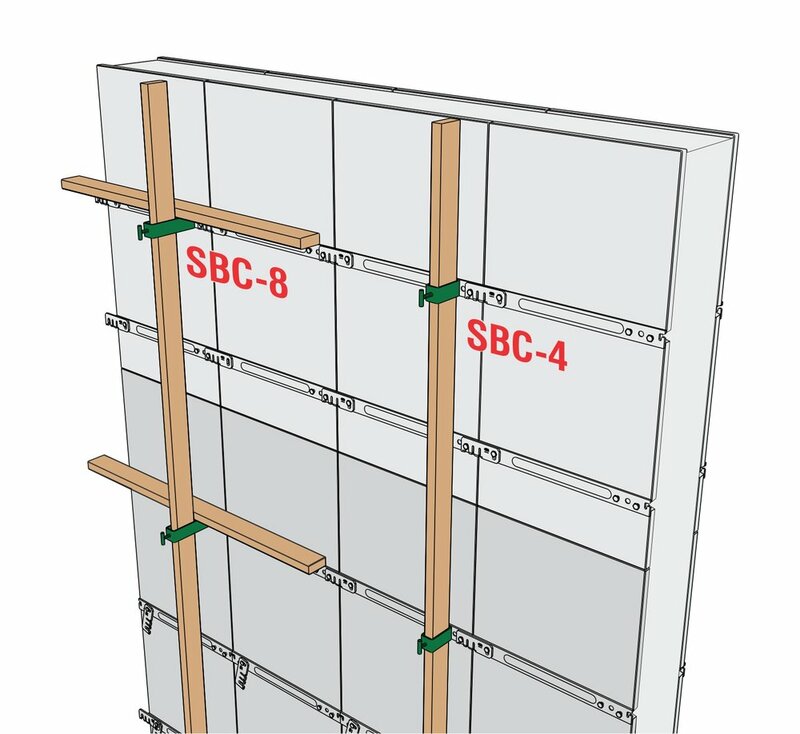 The SBC-4 accepts a single vertical 2x4 provide security while stacking, while the SBC-8 accepts an additional horizontal 2x4 to ensure true alignment of panels. High strength low alloy steel. INSTALLATION: Simply slide the reinforcement lumber (commonly 2x4) through the Strongback Clamp then clip onto panel shoulder bolt.